The cruise industry is under attack by environmental group Stand.earth, which says new research shows poor air quality on some ships is putting passenger’s health at risk. 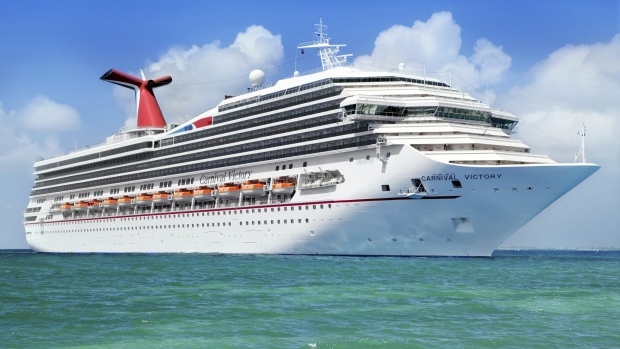 A Johns Hopkins researcher studied air quality on the decks of four cruise ships run by the Carnival Group, including one operating out of Vancouver, and says high level of air pollution were found that could pose serious health risks to passengers. The study focused on ultrafine particulate pollution that has been linked to cardiovascular disease and asthma. “The most shocking finding from this study is that pollution was often highest near the stern of the ships, where passengers are encouraged to exercise. This study should be a warning sign for anyone considering booking a cruise, but especially for vulnerable groups such as the elderly and young children or anyone with cardiovascular problems,” said Kendra Ulrich, senior shipping campaigner at Stand.earth. The group blames heavy fuel oil. The Carnival Corporation runs several lines. The two year study focused on four ships – Carnival, Holland America and two Princess ships. CTV News asked the Stand.earth why the study targeted the Carnival Corporation and was told that with its 10 brands, it’s the largest cruise line operator in the world. CTV News reached out to Carnival for a response and the company wasted no time in firing back an email response. This particular organization, for fund raising purposes, is constantly in search of a problem in our industry even if it has to create fake tests that really have no scientific basis. We test the air quality of our ships and they meet or exceed every requirement. We have installed Advanced Air Quality Systems on nearly 80 per cent of our global fleet in close coordination with the EPA, so these systems are environmentally friendly, in addition to rolling out new ships powered by LNG, the cleanest burning fuel available, so their study is misleading and inaccurate. The safety of our guests is our top priority and we undertake our cruises in close coordination with national and international regulatory bodies like the EPA to insure the utmost safety of our guests and crew. Homicide detectives are investigating the sudden death of a man who was found with critical injuries in Surrey Tuesday.